The core of all geoAMPS platforms is a central database. 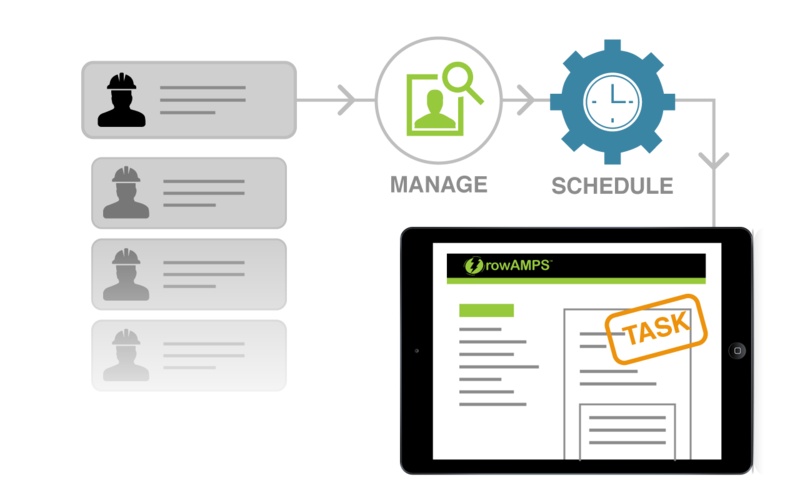 This allows geoAMPS to integrate all aspects of land and real estate property management for 35% greater efficiency. Data is organized and easily found with search and filers. Role-based security gives users access to only what they are assigned. A user friendly GIS mapping system that is easy to use. Quick dashboard overviews of project status with click-down access to all property information (notes, assignments, documents, etc.). 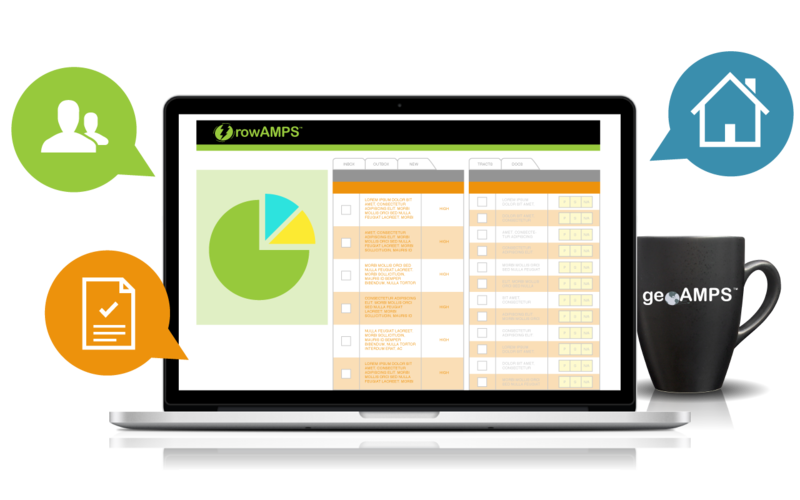 Plan routes and pull in data from third party providers. 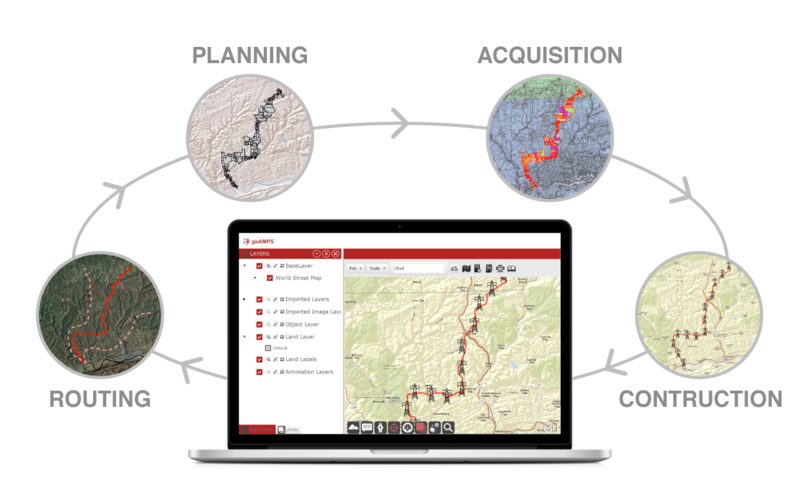 Built on an ESRI platform to integrate with most GIS applications. See, edit, and capture data in the field with any tablet or smartphone. 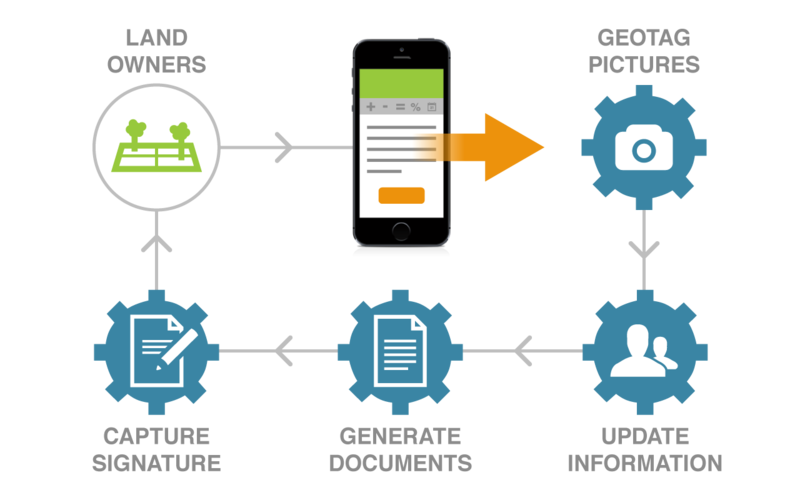 Quickly access and generate documents for landowners to sign in real-time. Install the native application on any Apple or Android device to work in remote areas where Internet connection is unavailable. Install the Web application on any laptop for mass data entry in places with poor Internet connection (title office, field, etc.). Download projects and key documents to work offline then sync changes across all platforms when reconnected.